Money talks. Every year, player contracts seem to get bigger as teams pursue the ultimate goal of winning a championship. In Major League Baseball, the highest-paid players easily make over $20 million a season, with the highest paid, Mike Trout, earning over $33 million. But, these deals don’t always work out like everyone thinks they will. These are the 27 worst free agent deals in MLB history. In the offseason prior to 2008, Andruw Jones was coming off a season in which he hit .222 with 26 home runs and 94 RBI in 154 games for the Atlanta Braves. It wasn’t the best season of his career, or even close to the best for that fact. However, the 31-year-old was stilled viewed as highly valuable. 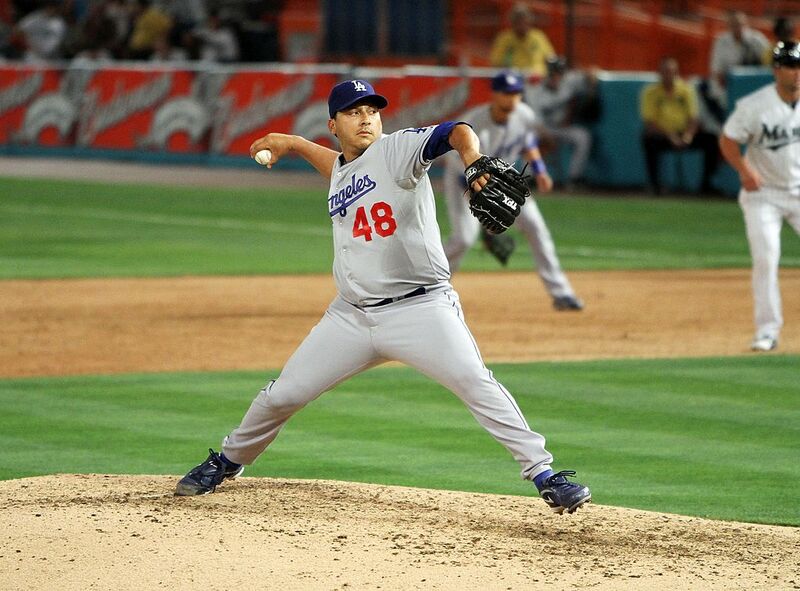 The Los Angeles Dodgers gave him a two-year contract worth roughly $36 million. Jones was injured in 2008, getting into just 75 games and hitting .158 with three home runs. The Dodgers released him after the year, essentially paying him $36 million for nothing. Next: A player who couldn’t give the Texas Rangers any decent pitches. 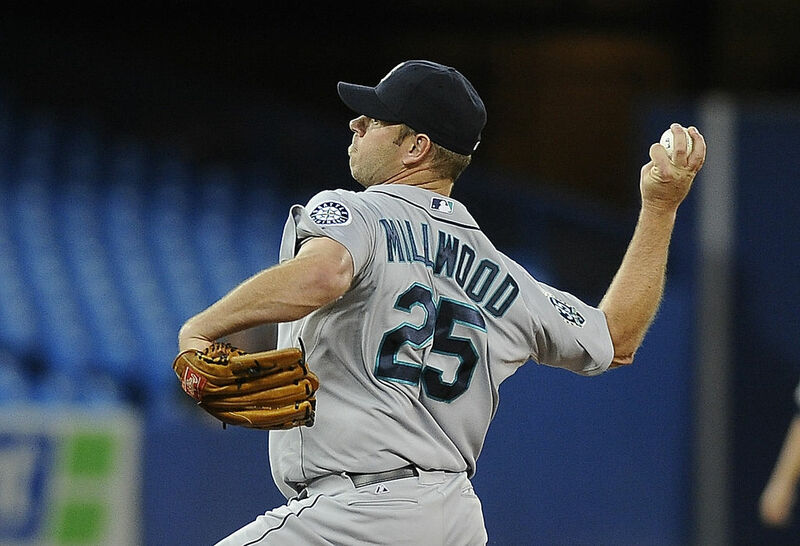 In 2005, Kevin Millwood had a great season for the Cleveland Indians; he led the American League with a 2.86 ERA in 192 innings pitched. That earned him a five-year $60-million contract in the offseason with the Texas Rangers, who were desperate for some decent starting pitching. Millwood couldn’t supply them with any, however. Over four years with the Rangers, the right-hander posted a 4.57 ERA in 755 innings. Texas eventually traded him to the Baltimore Orioles for the final year of his deal. He finished with a 5.10 ERA in 190 2/3 innings. Next: A player who played just 171 games in two seasons. 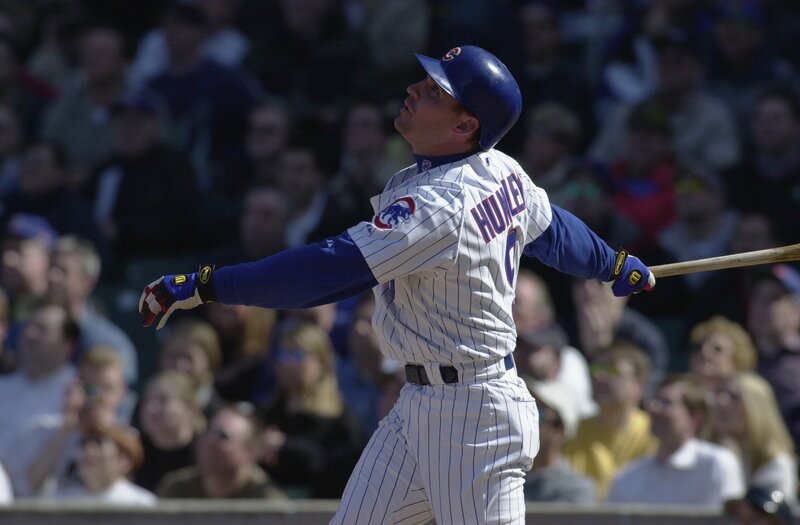 From 1995-2000, Todd Hundley was one of the best offensive catchers in Major League Baseball. Over that time, he posted a .860 OPS with 137 home runs despite spending a large chunk of two seasons on the disabled list. He even hit 41 home runs for the New York Mets in 1996. This prompted the Chicago Cubs to give Hundley a four-year deal worth $23.5 million. But he again struggled to stay healthy. Hundley played in just 171 games over two seasons with Chicago. Even worse, he hit just .199 with 28 home runs and a .684 OPS before being traded to the Los Angeles Dodgers. Next: A left-hander who missed the entire 2011 season. After coming off two consecutive quality seasons as a healthy starting pitcher, the New York Mets rewarded left-hander Oliver Perez with a three-year $36-million free agent contract. Unfortunately for New York, Perez started just 21 games in three seasons. He posted a 6.81 ERA in 112 1/3 innings and missed the 2011 season in its entirety. Even worse, he’d end up having a nice career as a reliever after signing with the Seattle Mariners in 2012. Next: A player who sat out the entire 2013 season. 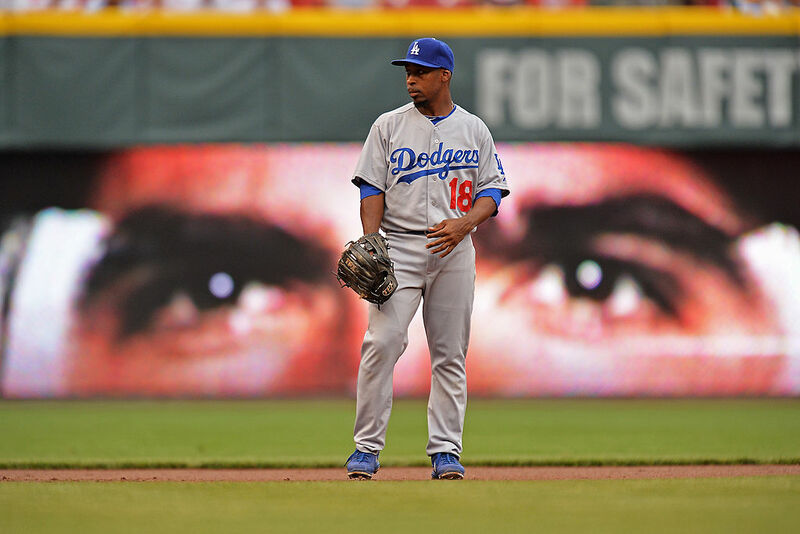 In 2009, utility man Chone Figgins made his first All-Star team at the age of 31, hitting .298 with 42 stolen bases and an American League-best 101 walks. That earned him a four-year $36-million free agent contract with the Seattle Mariners that winter. Then his production dropped off a cliff. Over the next three seasons with the Mariners, Figgins played in just 308 games with a slash line of .227/.302/.283 with four home runs and 57 stolen bases. He sat out the 2013 season before attempting a brief comeback in 2014. The Chicago Cubs were desperate to spend some money and put together a decent team in the offseason prior to 2007. So, they bid against themselves for outfielder Alfonso Soriano. The end result was an eight-year $136-million contract that had a full no-trade agreement. Soriano was excellent in his first two seasons for the Cubs, helping lead them to back-to-back division championships. But his performance dropped off after that. 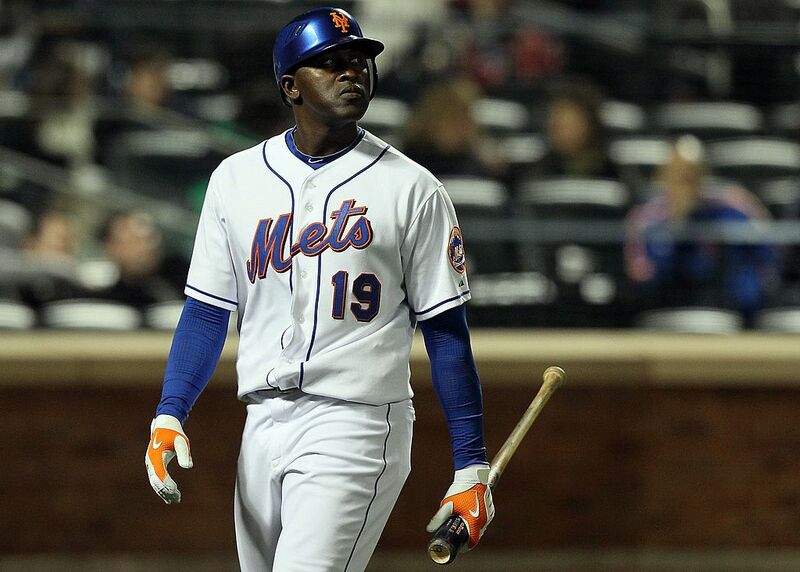 Soriano compiled just 1.9 WAR over the final six seasons on his contract. Next: An Arizona Diamondbacks player who is always battling injuries. 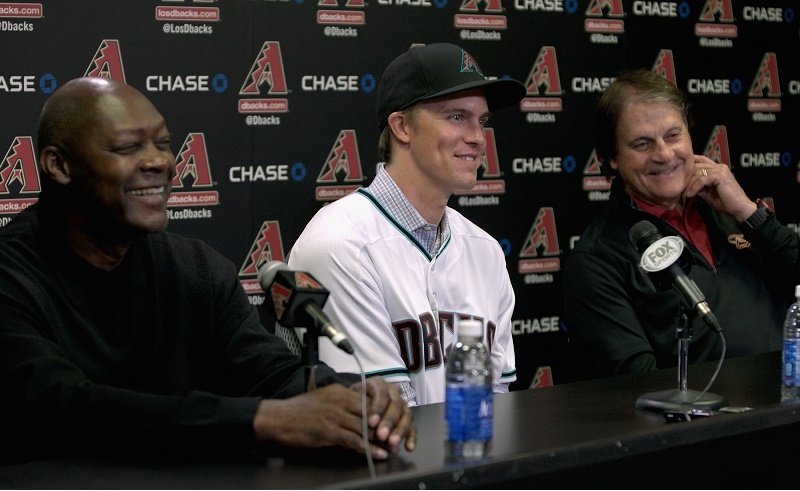 It’s probably too soon to judge, but the sheer numbers on the contract Zack Greinke signed with the Arizona Diamondbacks qualify it for this list. Coming off a season in which he led the National League with a 1.66 ERA, the 32-year-old pitcher signed a six-year $206.5-million contract with the D-backs. He battled injuries and only made 26 starts in his first year with Arizona, with a 4.37 ERA in 158 2/3 innings. He could return to form. However, at 33, with five years left on the deal, it’s hard to see this ending as a win. Next: A player who only had one decent year in Boston. Originally signed by the Boston Red Sox after a successful career in Japan, Daisuke Matsuzaka never met up to the hype that surrounded him and his “gyro-ball” pitch. He had one decent year in Boston, posting a 2.90 ERA in 2008 but also walking far too many batters — 5.0 BB/9. 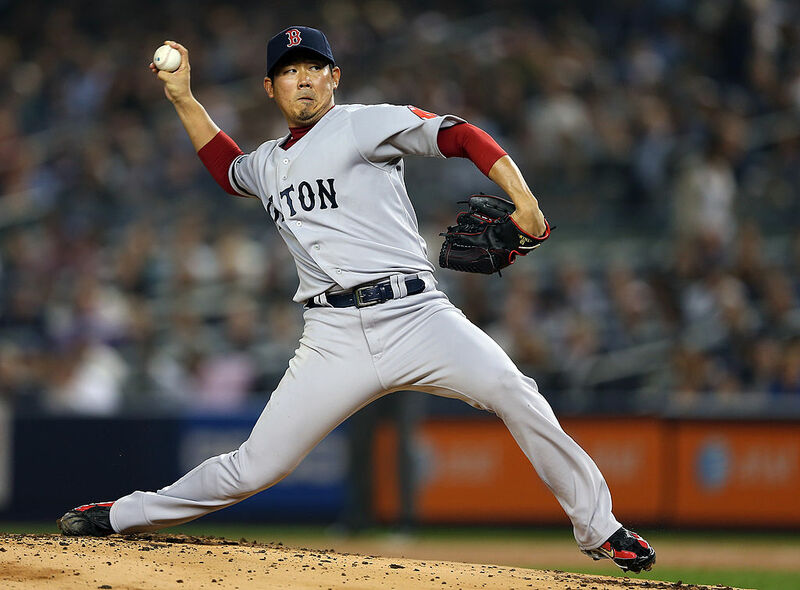 Overall, Matsuzaka threw just 668 1/3 innings over five seasons with the Red Sox and had a 4.52 ERA. Not exactly what they expected to get when they invested a total of $102.6 million (counting the $51 million posting fee). Next: A player who ended his time in Texas with just 380 2/3 innings pitched. In 2001, right-handed starting pitcher Chan Ho Park had a 3.50 ERA in 234 innings and 35 starts for the Los Angeles Dodgers, making his first All-Star team at the age of 28. That offseason, the Texas Rangers gave Park a five-year $65-million contract to be the ace of their staff. It didn’t quite work out that way. 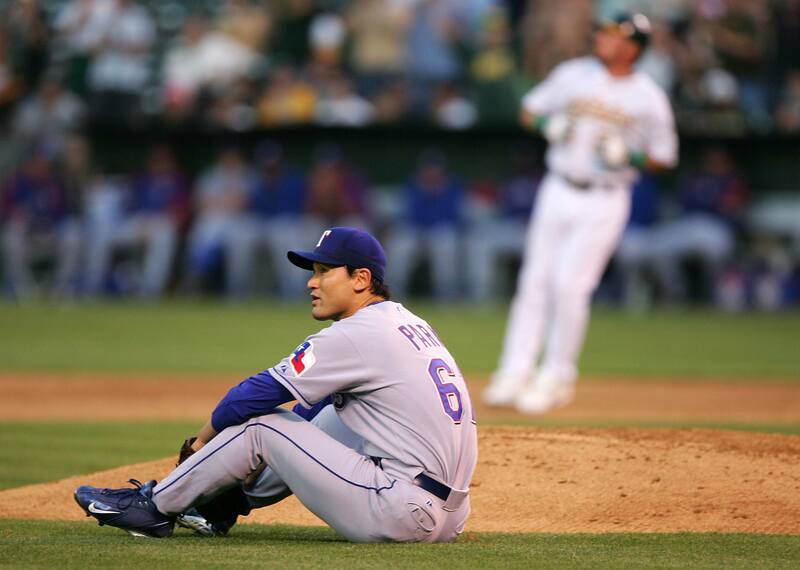 Park started just 32 games over the first two seasons of his Rangers career, and finished his time in Texas with 380 2/3 innings pitched and a 5.79 ERA over the course of four seasons. Next: A Dodger who set out 2008 completely. After a long, successful, and healthy run as one of the best pitchers on their rivals, the San Francisco Giants, the Los Angeles Dodgers decided to spend some money in 2007 to bring in 34-year-old starting pitcher Jason Schmidt. They gave him a three-year deal worth $47 million. But in reality Schmidt only pitched 43 1/3 innings in a Dodgers uniform. He started six games with a 6.31 ERA in 2007; then he sat out 2008 completely, before returning in the final year of his deal to start four games with a 5.60 ERA. Next: A player forced into retirement due to chronic hip problems. 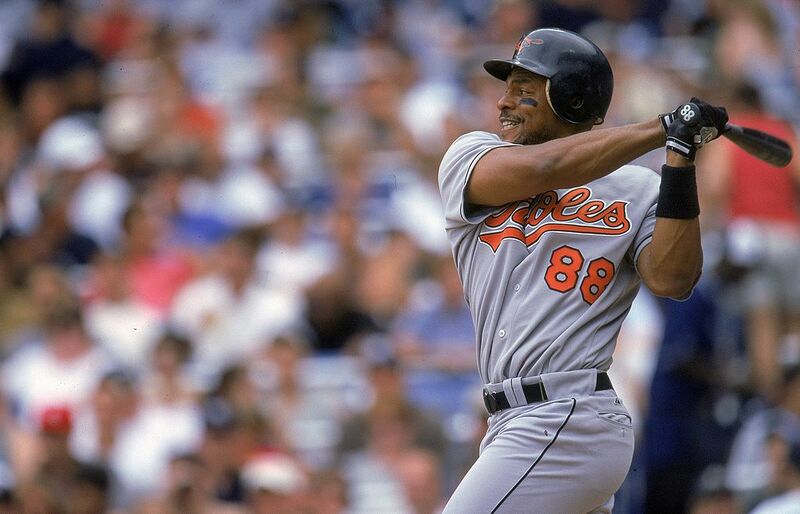 In 1998, slugger Albert Belle had a phenomenal year for the Chicago White Sox. He posted a .655 OPS with 49 home runs. The Baltimore Orioles gave him a five-year $65-million contract that winter — a monster contract for the time — and saw him have two excellent seasons. But at 33, Belle was forced to retire due to chronic hip problems. This meant that he received around $40 million despite never again wearing a Orioles uniform. Next: A former Yankee who had a resurgence with the Pirates. 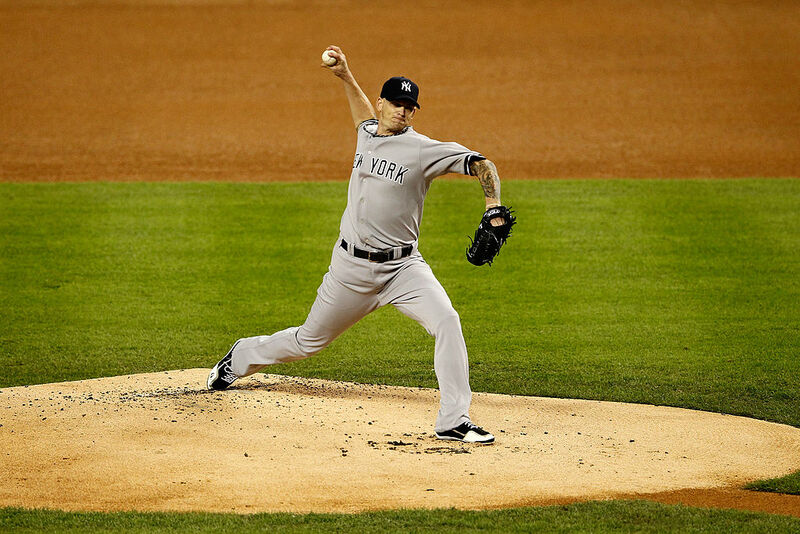 Needing a good starting pitcher, the New York Yankees spent a lot prior to the 2009 season. They dropped a five-year $82.5-million contract on starter A.J. Burnett, who had been with the rival Toronto Blue Jays. Burnett had a fine first season, even helping the Yanks win the World Series. His final two seasons with the team were awful; he finished his Yankees career with a 4.79 ERA in 98 starts over three seasons. New York traded him to Pittsburgh, where Burnett suddenly had a resurgence with the Pirates. Next: A hitter forced to sit out all of 2001. 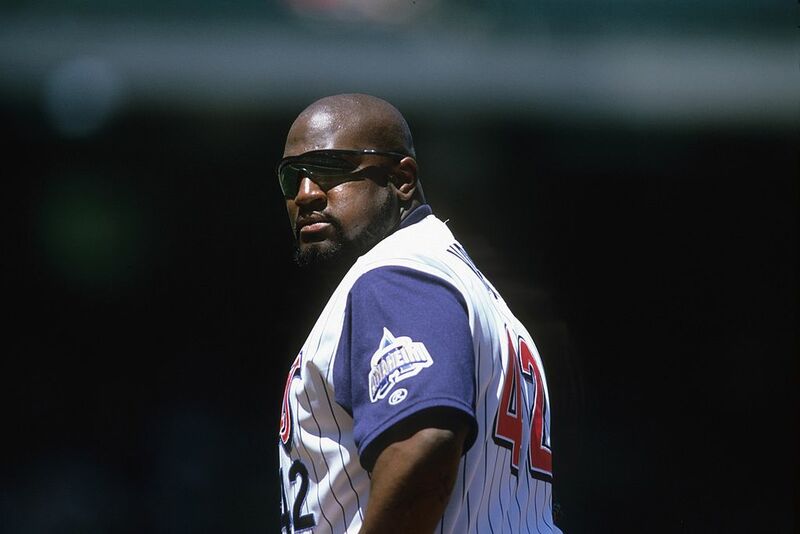 With the Boston Red Sox in 1998, designated hitter Mo Vaughn hit .337 with 40 home runs and a .993 OPS — good numbers from the 30-year-old. 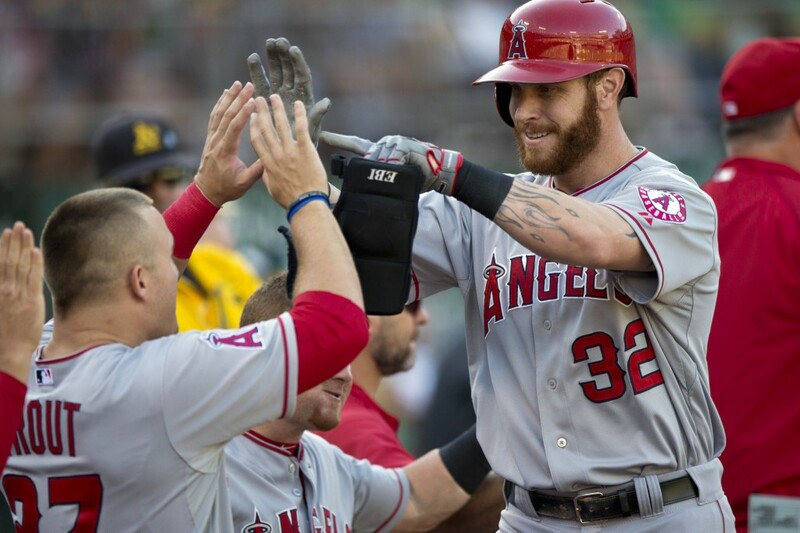 As a free agent, the Anaheim Angels forked over a six-year $80-million deal for the slugger. But his production sagged almost immediately. Vaughn’s OPS dropped to .865, which was still pretty good for the time. Then, he had an injury that forced him to sit out the entire 2001 season. The Angels eventually traded him to the New York Mets, where he played parts of two seasons before retiring. Next: A former MLB star with a terrible clubhouse reputation. After being swept in the postseason for the second consecutive year, the Chicago Cubs decided that they needed another good left-handed hitter for their 2009 team. 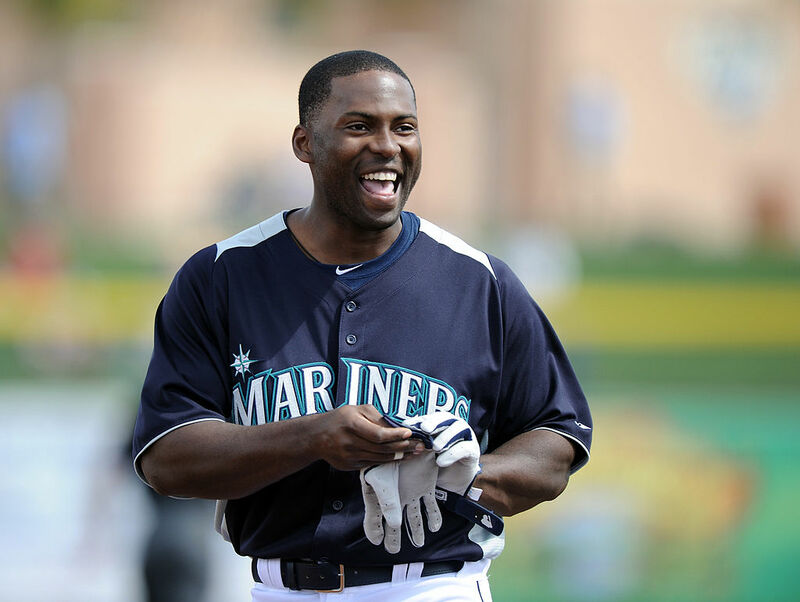 That prompted them to give Milton Bradley, who was known as a negative clubhouse character, a three-year $30-million contract. Bradley’s numbers that season don’t explain what an awful presence he was on that team, dropping from a .999 OPS with the Rangers in 2008 to .775 with the Cubs. Chicago traded him to the Seattle Mariners in the offseason and his career only further fell apart from there. He was out of baseball at 33 years old. Next: A former Yankee who only started 13 games. The same year the Boston Red Sox ponied up the money for Matsuzaka, the New York Yankees signed Japanese starter Kei Igawa. Although the money he received wasn’t bad, the posting fee made it a lot to swallow for Yankees fans. It was five years for a total investment of $46 million. 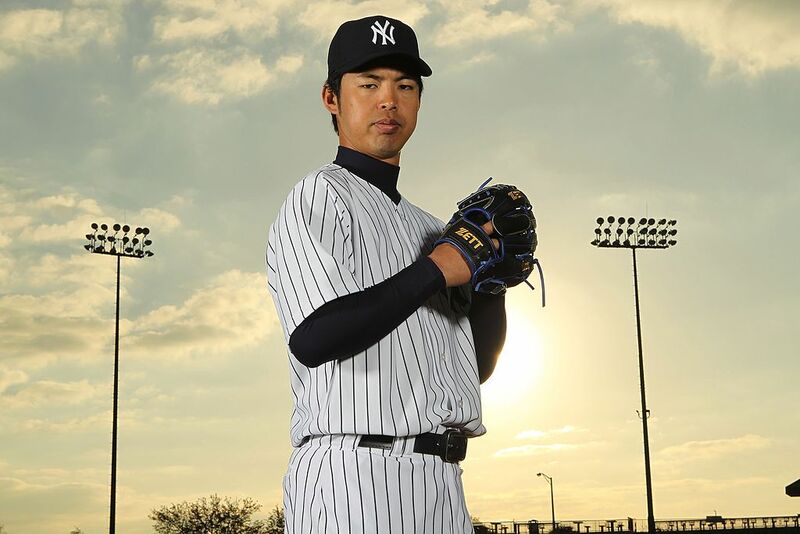 Igawa had injury issues and only started 13 games for the Yankees over two seasons. He compiled a 6.66 ERA in a grand total of 71 2/3 innings. Next: The Diamondbacks just gave up on this player. 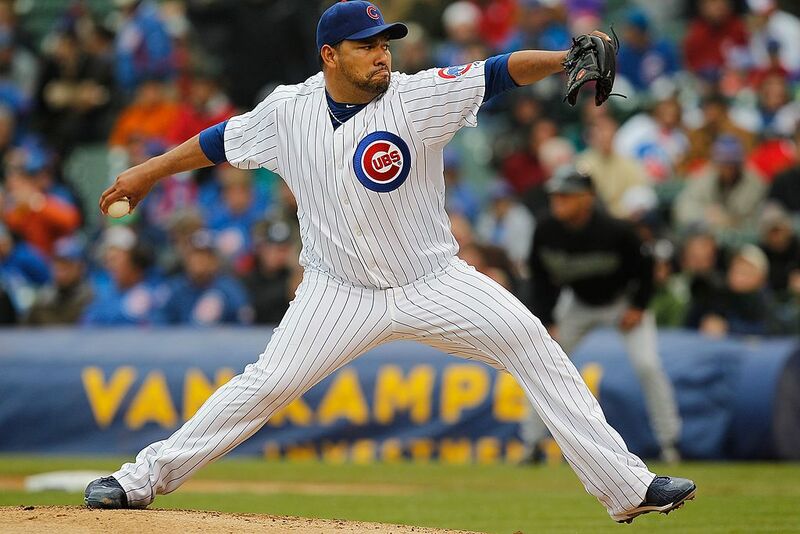 At the time that he hit free agency after the 2004 season, 31-year-old starter Russ Ortiz had a 4.00 ERA and 103-60 record over six healthy seasons in which he averaged over 200 innings per year. That was good enough for the Arizona Diamondbacks to give him a four-year $33-million deal. He was awful in his first year, pitching 22 games with a 6.89 ERA. Ortiz had a 7.54 ERA in six starts in his second year of the deal when the D-backs simply gave up on him, releasing him and eating around $22 million. Next: A player who struggled in Seattle and Chicago. After a decent 2007 season as a starter for the Minnesota Twins, with a 4.19 ERA in 202 innings, the Seattle Mariners gave Carlos Silva a four-year $44.7-million contract. Through the first two years of his deal, Silva started just 34 games and had a 6.81 ERA for the Mariners in 183 2/3 innings. Seattle actually traded him to the Chicago Cubs in exchange for Milton Bradley. Then, Silva had a decent final year with the Cubs (a 4.22 ERA in 21 starts in 2010) before Chicago released him and ate the final year of his contract. Next: A Los Angeles Angel who failed to live up to expectations. Coming off a year in which he hit a career-best 19 home runs with a .313 batting average, .866 OPS, and 5.2 WAR, the Los Angeles Angels went ahead and gave 32-year-old outfielder Gary Matthews Jr. a five-year $50-million contract. He failed to live up to expectations, however, hitting just 30 home runs with a .708 OPS and -0.1 WAR over three years. The Angels ate a bunch of his remaining contract just to get rid of him. They traded him to the New York Mets where he only appeared in 36 games before retiring. Next: A player who was shuffled back and forth from the disabled list. 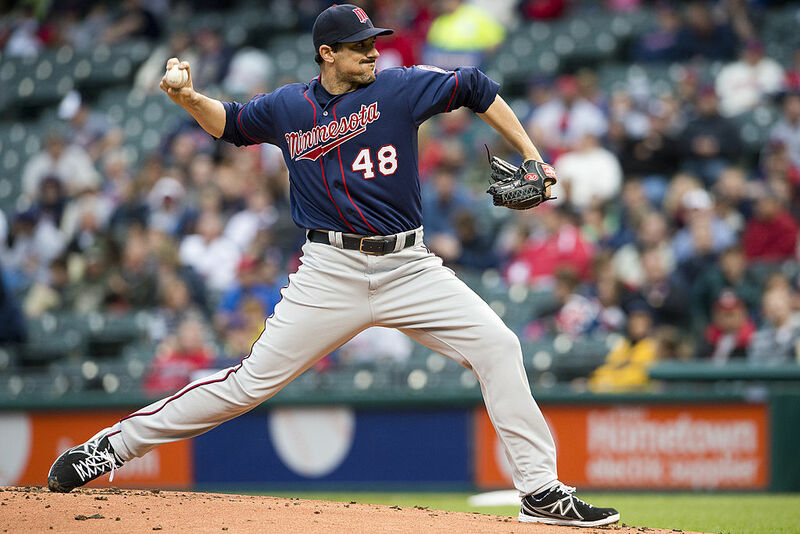 Coming into 2004, right-handed pitcher Carl Pavano had a 4.59 career ERA in five seasons and 715 innings, topping 140 innings just once in his career due to injuries. Then, he broke out with an All-Star season in ’04, making his first All-Star team and throwing 222 1/3 innings with a 3.00 ERA. 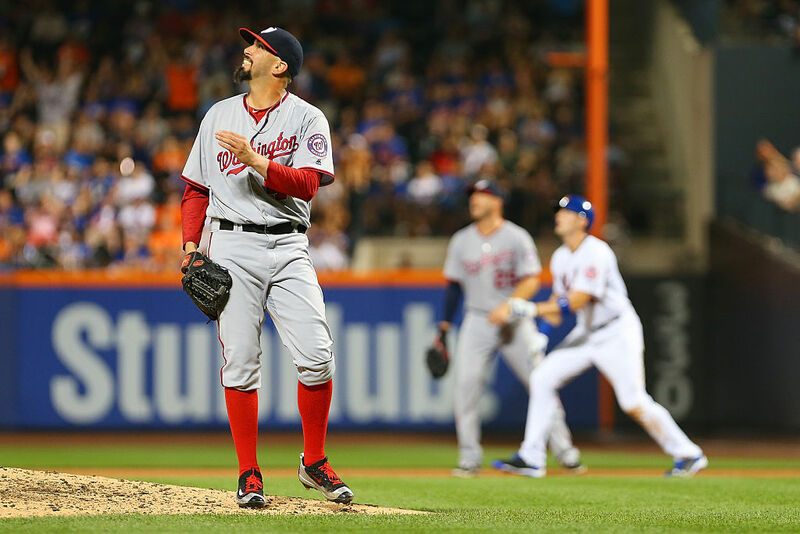 That was enough for the New York Yankees to give Pavano a four-year $40-million contract, and it was a big mistake. Pavano continued to shuffle back and forth to the disabled list, finishing his Yankees career with a total of 26 starts over three years and a 5.00 ERA. Next: A player who declined rapidly. 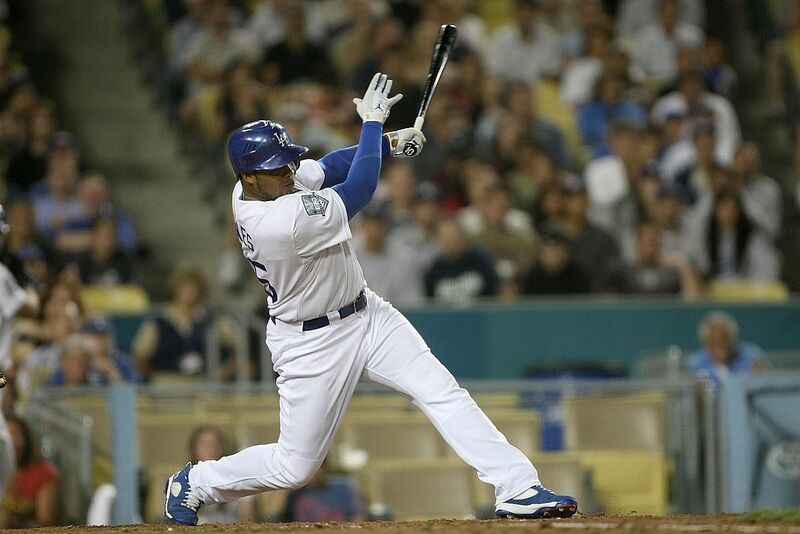 In 2011, the Boston Red Sox signed outfield Carl Crawford to a massive, seven-year $142-million contract. At the time, few questioned the logic behind the deal — Crawford was just 29 and coming off a year in which he hit .307/.356/.495 with 13 triples, 19 home runs, and 47 stolen bases. But he declined rapidly and played just 161 games in a Red Sox uniform before being dealt to the Los Angeles Dodgers. In the first six years of his contract, he has a .271/.310/.407 slash line with 3.4 accumulated WAR. Next: This ended poorly for this Mets player. 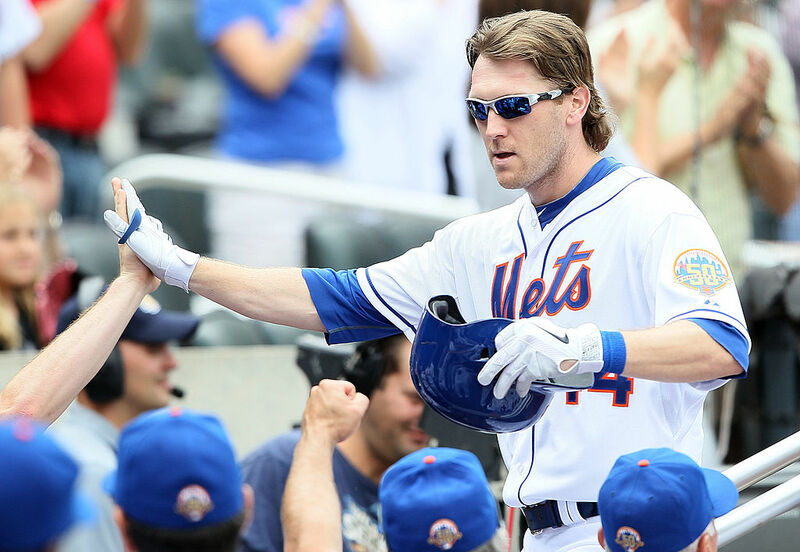 That Crawford signing was intended to replace the production lost when former Red Sox outfielder Jason Bay signed with his new team, getting a four-year $66-million deal with the New York Mets. Bay had hit 36 home runs, 119 RBI, and a .921 OPS at the age of 30 in 2010, and looked to be quite deserving of the deal which he was offered. Unfortunately, things worked out poorly for Bay, who battled injuries and finished out the final four years of his career hitting .229/.314/.373 with 37 home runs. 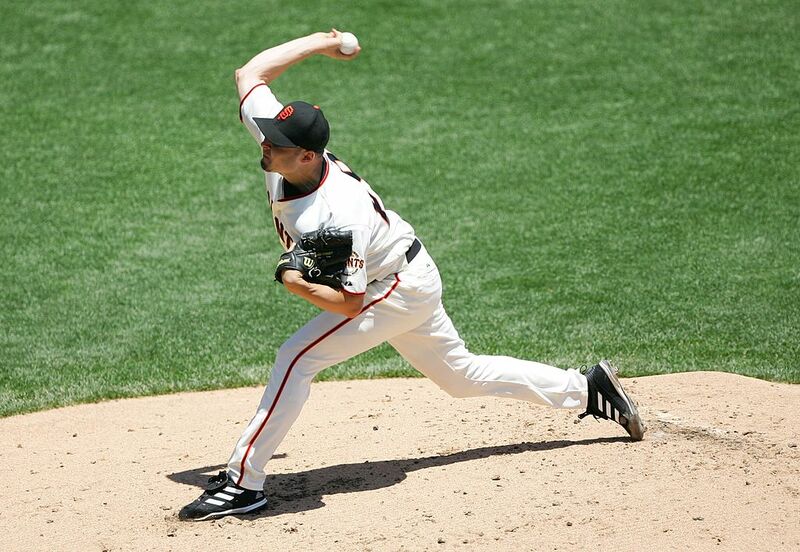 Next: This player ended his Giants career with a 4.62 ERA over 1,139 1/3 innings. Left-handed starter Barry Zito spent eight years with the Oakland A’s, winning a Cy Young Award and putting together a 3.58 ERA over 1,437 1/3 innings. 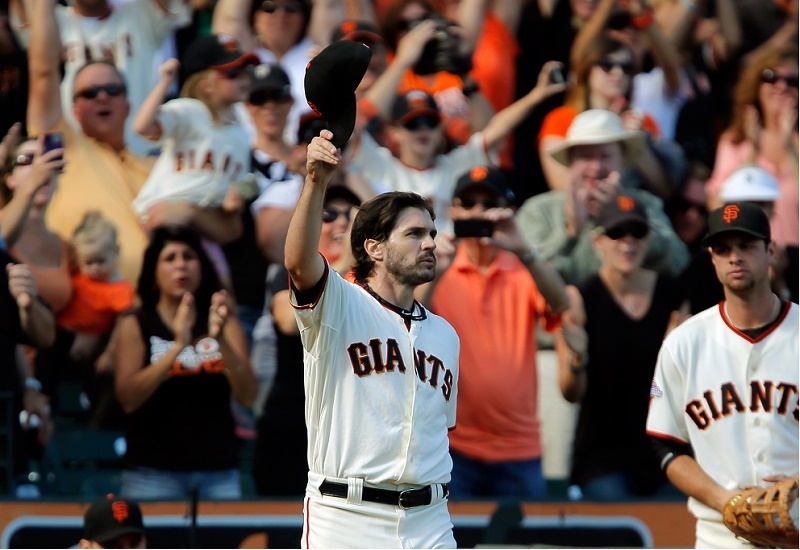 When he hit free agency following the 2006 season, Zito decided to stay in the general area and sign a seven-year $119-million deal with the San Francisco Giants. But, like so many before him, his performance began to drop off almost immediately after the ink had dried. Zito’s best season with the Giants came in 2012, when he had a 4.15 ERA in 32 starts and helped them win the World Series. He finished his Giants career with a 4.62 ERA over 1,139 1/3 innings. Next: This Colorado Rocky who would only make it three years into his contract. The Colorado Rockies always seem to be in need of pitching, and this was no more true than it was heading into the offseason prior to 2001. 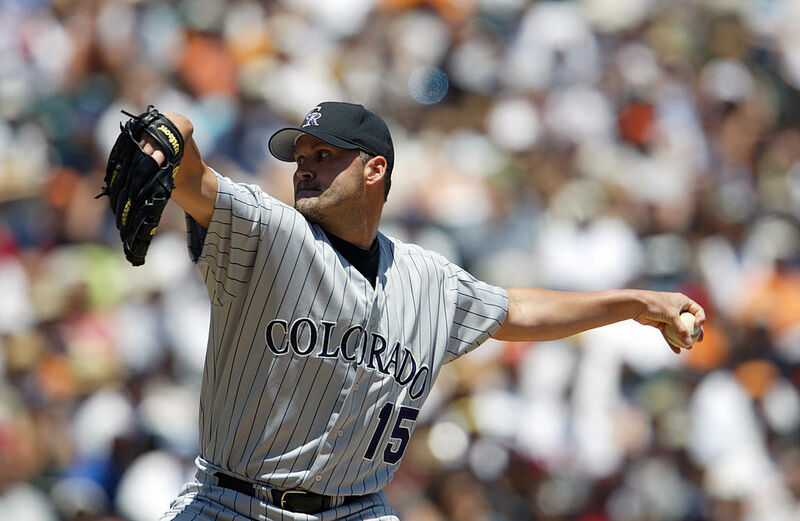 The Rockies signed left-handed pitcher Denny Neagle, who was 32 at the time and coming off winning a World Series with the New York Yankees, to a four-year $32.5-million deal. But Neagle would only make it three years into the contract, putting together a 5.57 ERA in 370 1/3 innings in Colorado and only starting seven total games in his final season. Next: This player was forced out of the game. Also a part of the flurry of spending that offseason, Mike Hampton inked a deal with the Rockies for eight years and worth $121 million. He was bad, similar to Neagle, but cost quite a bit more money and had a much longer investment. In his only two seasons with Colorado, Hampton threw 381 2/3 innings in 62 starts with a 5.75 ERA. The Rockies moved him to Atlanta, where Hampton immediately bounced back with the Braves — he had a 3.96 ERA over the next three years before getting hurt and being forced to sit out the bulk of the end of his contract. Next: This Red Sox player’s stats got worse and worse each year. 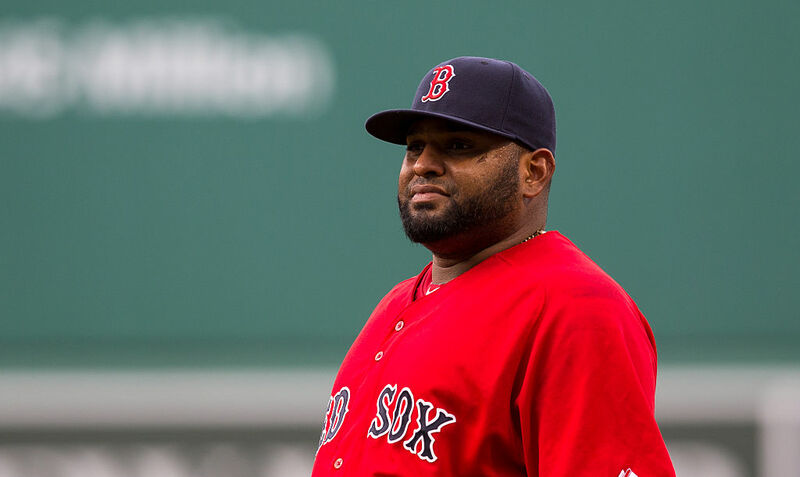 After two consecutive All-Star appearances and a World Series MVP trophy, third baseman Pablo Sandoval began to show real signs of decline in 2013. His numbers got a little worse each year, until eventually he hit free agency after the 2014 season. 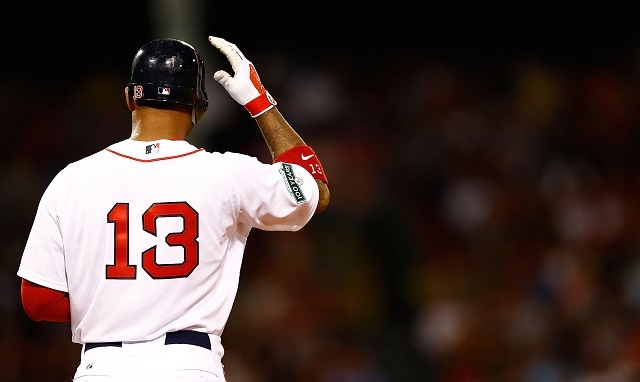 But he had hit .366 with a .888 OPS in 78 plate appearances in the playoffs, raising his stock enough to get a five-year $95-million contract from the Boston Red Sox. Sandoval had a slash line of .245/.292/.366 in 126 games in his first season in Boston, then wasn’t even able to get on the field in his second season. At this point, it’s hard to see him having any sort of role with the Red Sox going forward. Next: A Braves star whose contract has been a bust. 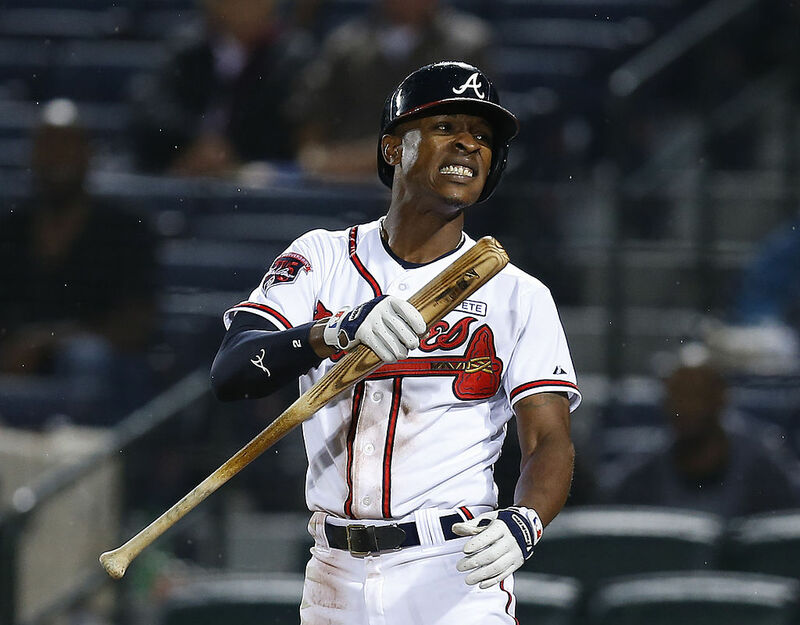 After seven seasons with the Tampa Bay Rays, Melvin Upton (formerly known as B.J.) signed a five-year $72.3-million deal with the Atlanta Braves. He was just 28 at the time, but he had already shown some signs of decline before even arriving in Atlanta. The contract has been a massive bust, and he’s been traded twice in four seasons. 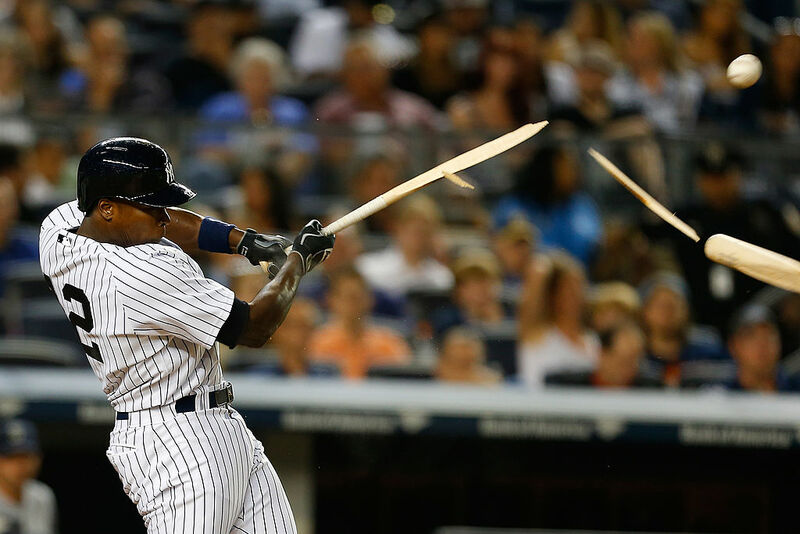 Upton has played in 503 games, hitting for a slash line of .218/.288/.356 with 46 home runs. He’s still owed around $16.5 million in 2017, as well. Next: This Angels player struggled with addiction. The story of Josh Hamilton is long and tragic, with struggles regarding drug addiction littering his past. He appeared to have made the most of his second chance, making it to the big leagues and not only becoming an All-Star caliber player, but an MVP. At the age of 31 with the Texas Rangers, Hamilton hit 43 home runs and put himself in position to get a big free agent contract from the Los Angeles Angels. He signed for five years at $114.3 million in the winter prior to 2013, but his numbers dropped off and his addiction problems returned. Eventually, after two seasons and a mediocre .741 OPS, the Angels sent Hamilton back to the Rangers — paying nearly the entire salary just to get him off their roster.